What You Can Do with LEAD Local Entry Access DNA Database? Create and maintain local DNA-profile databases using a highly-secure online system with encryption technology protecting all sensitive genetic and personal information. 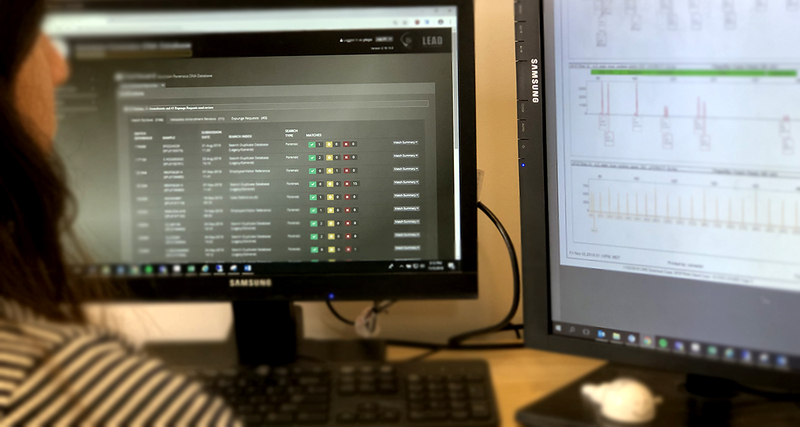 With LEAD you can configure the software application specifications to suit your agency’s unique needs with user-specific access control for an additional layer of security. LEAD is equipped with the ability to customize reports for database statistical matches and security auditing. Additional options allow you to synchronize data automatically from multiple lab locations with a master central database. Sorenson Forensics’ LEAD Database system was built and configured specifically for the forensics industry. Database installation is custom-created for each client according to their unique needs. We are proud to offer a product that is easy to use, fast, and completely secure. Customize reports to meet your specific needs.